Having been in this business 27 years gives me some experience. But nothing in my experience matches what Microsoft is attempting; a free OS update for more than 500 million computers. Do I have a prediction? Can Microsoft handle the server load? Will everyone be impressed but the support? I don’t say so. However, I will predict that whether Microsoft is successful or unsuccessful, we will all remember August 1, 2015 as the date that Windows changed the World, for better or worse. What I’m anticipating is a combination of people successful in the Windows 10 transition, looking for help with the new OS and how to do things. I also predict a certain percentage of failed updates. Even a 1% failure rate means 5 million computers that no longer boot. So I would predict that more PC hardware will be shipped in August 2015 than in any month of the last four years. So many people, reinstalling apps, looking up licenses, switching to newer versions. We also look with some interest at Microsoft’s “Phone Companion” software, which will “magically” keep everything in sync. Since Windows 10 preview is out, and Phone Companion is not in it, I definitely think magic is what they need now. I think it will be good for CompanionLink (thank you Microsoft for naming your feature) to continue to do what we do – simple and dependable phone sync. There’s nothing they will introduce in two weeks that can match the features and dependability of CompanionLink and DejaOffice. Microsoft is unleashing a bevy of names and editions of the next version of Microsoft Office Outlook. It’s hard to understand which version of Outlook you will need on PC, Mac, phones, and tablets. Here are a list of known platforms on which the next version of Outlook will be available. Next, let’s list every brand name that Microsoft has used so far to describe the next version of Office Outlook. This comes as part of the conventional Office productivity desktop suite (Word, Excel, PowerPoint) that we have used in the past. Outlook 2016 has a refreshed UI, tight OneDrive integration for cloud document management, and a machine-learning algorithm that learns how to “de-clutter” your inbox. This suite is for people who want the full Outlook experience (Mail, Contacts, Calendar, Tasks, Notes, and Categories working seamlessly together) on their desktops and laptops like in years past. Pricing tiers are unannounced. Availability is Fall 2015 with no specific date yet. This is the Office productivity suite for Mac users. It is designed to take advantage of Retina displays and Full Screen views available in modern Macs. Microsoft is promoting this version as a convergence in feature-set with the PC Office 2016. The prior version (Office for Mac 2011) took a public beating because it failed to do things that its PC counterpart could do. Availability is scheduled for the second half of 2015. This is a basic and feature-lite version of Outlook. It comes pre-installed on phones and tablets running Windows 10. These are Microsoft’s phones, Surface tablets, and other small tablets designed by other manufacturers that will support Windows 10. This lite version of Outlook gives you Mail and Calendar functionality. There are no Contacts, Tasks, or Notes in this feature-lite version. Support for Categories is unknown. The UI is streamlined when compared to Outlook 2016 for desktops. You can connect to EAS, Office 365, Gmail, and Yahoo accounts. Here’s a video that shows the app. This app is available from iTunes App Store for free. It handles Mail, People (ie – contacts), and Calendar. People is limited to view-only data. This means you can search and view contact details of people in your address book, but you cannot add, edit, or delete records. There are no Categories or sort options. This app is available from Google Play Store for free. Like its sibling iOS app, it handles Mail, People, and Calendar. People is view-only, no Categories, and no sort. This is the online version of Outlook that can be accessed from any desktop or mobile browser. If you have Office 365, you navigate to a web page to log in. If your organization used Exchange, they would provide you with a URL and credentials to log in to the Exchange Server. The web interface handles Mail, Calendar, People, and Tasks. Categories and Notes do not work. Microsoft also released native apps for iOS and Android called Outlook Web App. This was Microsoft’s recommended method to access Outlook on mobile devices prior to their recent native Outlook apps for iOS and Android. Page This ZDNet article claims Microsoft is planning to sunset these OWA apps in favor of the new Outlook apps for iOS and Android. If you have heard of any other names used to describe the next Office Outlook, please share that with us in the Comments section. We tested Kies with our new Galaxy S6. I can confirm reports by other bloggers that Kies no longer works with Galaxy S6. If you are looking to simply move data from another phone to S6, Samsung recommends their Smart Switch app. It uses their cloud to move Contacts, Calendar, Call Logs, Wallpapers, WiFi settings, and other information between two phones. It works wells for a one-time transfer of data. Unfortunately, moving information between phones doesn’t solve one of the main features of Kies – two-way Microsoft Outlook synchronization. People who want to connect their desktop Outlook data with the new Galaxy S6 are left in the dark without Kies. Those who manage business clients, calendar meetings, and notes need a Kies alternative so they can continue getting productivity from their new S6. CompanionLink is offering the only Kies replacement for Galaxy S6 that will sync via USB, WiFi, or Cloud. The options may get overwhelming, so we offer free telephone technical support so that you can call and speak to an expert. CompanionLink has been downloaded more than 1.2 million times and has earned the trust of writers for USAToday.com and a 4.9-star review on our Google page. Select the sync protocol from the options (Direct USB, Local WiFi, or DejaCloud). Download our free DejaOffice app on the Galaxy S6. You can find it in the Play Store on the device. During the DejaOffice setup wizard, select the same sync protocol you chose in Step 3 above. Contact us if you have any questions or need further help. Our support staff is in-house and available by phone (+1 503-243-5200) and by email support. So for us, USB sync is fundamental because it is a foundation technology that many business professionals rely on to secure their data between their PC and phones. We also have our own cloud service, DejaCloud, that offers an automatic connection between your Galaxy S6 and PC Outlook. A change made in either Outlook or the S6 will automatically trigger an update to the other location. DejaCloud handles multiple devices (ie – iPad and Galaxy S6) like a champion. It’s designed to be real-time so you are guaranteed to always have access to the most current data. Our commitment remains to all these technologies on as many phones as we can, including the exciting new Galaxy S6 and Galaxy S6 Edge. Samsung is driving uphill to maintain their lead in the consumer mobile market. Cheaper phones from Xaomi, Huawei, and other manufactures are driving the price of Android devices to $0 while gouging Samsung’s market share. And this is just from their fellow Android manufactures. Holiday sales of Apple iPhone showed resurgence due to iPhone’s bigger screen size. One area where Samsung has yet to capitalize (and can do so rather easily) is to focus on a more premium and sophisticated buyer – business users. This approach lets Samsung justify a higher price for their devices, differentiate by features and apps, and allow Samsung marketing to focus on a customer willing to open their pocket books for perceived value in an era of zero-cost smartphones. Pre-install a curated a list of business apps on the Galaxy S6. Business users are pressed for time. Unlike consumers who actually browse mobile app stores, business users will not. Recommendations and reviews are the catalysts for professionals to download apps. Samsung can lend a hand and establish instant biz cred by partnering with app developers who already have a business following. Ship the Galaxy S6 with select partner apps pre-installed in a separate Recommended Apps section on the phone. Emphasis on the word “separate”. Do not make the same mistake Dell did/does with PCs by bloating the phone with third-party apps that one must painstakingly delete should they not want them. The second-worst thing to happen with a new phone purchase is starting your phone and finding bloatware. The worst thing to happen is paying a premium price for a phone with bloatware. What software do business people spend the majority of their day using on their PC? Email, browsing, CRM, scheduling, and task management are some common functions most professionals engage, regardless of the business they are in. Samsung should identify leading app developers in each of these business functions. Co-market or co-promote their apps. Rekindle the great Galaxy vs. iPhone commercials of the recent past (the ads were actually quite entertaining!) to create separation between Samsung Galaxy and the bevy of other Android phones in the market. The best marketing is education. As part of their training regimen with retail outlets that carry Samsung devices, focus on the business application of Samsung phones and tablets. Make sure carrier store reps are versed in how Samsung devices work with leading business apps so professionals can extend functions from their physical office onto their virtual office on their devices. The goal is to educate people on how to get business done on mobile without skipping a beat or missing your physical office. When a person walks into a carrier store to ask about an Android device, all things business should only point to one direction on the rack – Samsung. That’s value that business professionals will pay a premium to be associated with. Pivot the upcoming Samsung Galaxy S6 phone and Galaxy brand to be the business tool that professionals must choose instead of the cheaper no-frills phones that consumers are swallowing in droves. Samsung needs to make the act of showing up to business meetings with a non-Galaxy phone to be perceived as a credibility issue. Remember early last decade when you weren’t a real business professional unless you had a BlackBerry? Outlook is included with Office, and Outlook is remarkably robust for 80% of everyday business needs. These two factors have given it the #1 Who’s Who rank in desktop business software. Outlook is ubiquitous because it’s bundled with every business version of Microsoft Office. CompanionLink’s 20-year history with developing Outlook add-on software makes us privy to the choices and desires of the PC business audience. They use the Outlook to manage many aspects of their day. It is first-class software for email, calendar scheduling, task management, and contact management. We see behavioral patterns that Samsung can take advantage of. Update the Galaxy S6 email app to work more like K9 or Microsoft’s new Outlook app. Email must be a pleasure to manage. It is likely the first app business professionals engage every day. Pre-install the Word, Excel, and PowerPoint apps. Pre-install the DejaOffice app to integrate with and hold Outlook Contacts, Calendar, Tasks, and Notes on the Galaxy S6. Pre-install the Dropbox app for file management. These simple steps will allow the Galaxy brand to begin differentiating from other Android phones. Apple has notably been the platform that people spend more money on apps for. Why is this? Is it because they attract a more affluent buyer or because they attract a business buyer? Likely, it’s a combination of both. Samsung Kies is free software that handles rudimentary Outlook integration as an after-thought. The core functions of the software are to transfer video and photos to the PC, apply device software updates, and back up contacts and text messages to the PC. Samsung should take this to the next level by supporting deeper integration with Outlook fields. What Samsung really lacks is a mobile app that is capable of holding all of the rich Outlook data. The Galaxy’s built-in contacts and calendar apps don’t map well with Outlook. Our own app, DejaOffice, on the other hand, offers a one-to-one map with advanced Outlook fields and data like Categories, Notes, recurring reminders, and sort options that match the desktop such as the File-As option in Outlook. This is really what business users are looking for instead of the novice contacts and calendar apps that ship with devices. 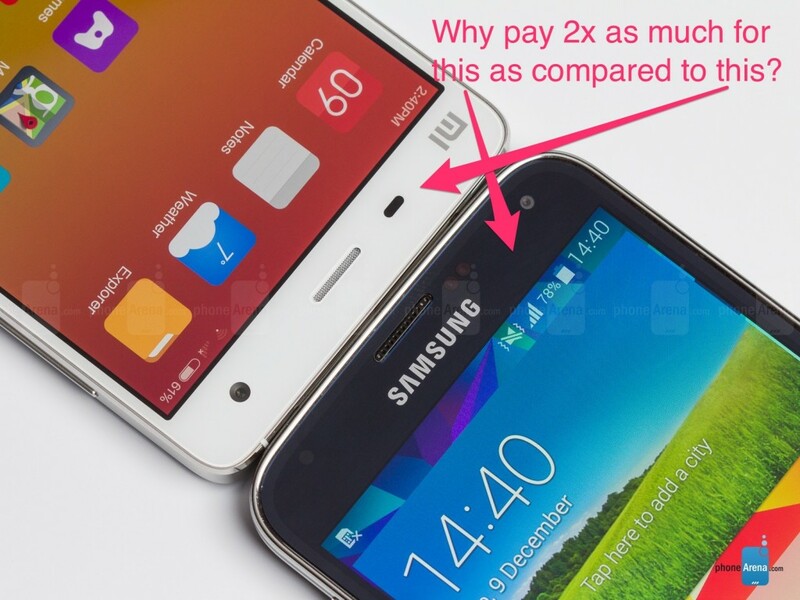 Samsung needs the business buyer in order to differentiate and validate a price greater than free for its phones. They need this buyer in order to survive the attack from both ends – cheap no-frills Android phones and Apple’s premium iPhone. Samsung can start on March 1 with the Galaxy S6.